Choosing between debt and equity financing is something that many new business owners have to do at some point. New businesses take money to operate and both debt and equity financing are viable options to choose from. Both options have some benefits and drawbacks associated with them. If you are trying to decide, here are a few things that you need to consider. With equity financing you are taking money from investors in return for a share of the company. This is what companies that "go public" are essentially doing. They are selling shares of stock in the company for a certain price. As a business owner, you get to keep all of the money that is raised from the sale of the stock and do what you want with it. 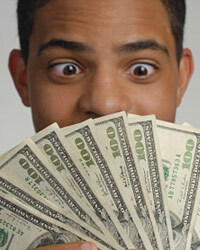 The fact that you get all of the money upfront and do not have to worry about paying off a loan is very attractive. The downside to this type of transaction is that you have to worry about pleasing the investors. When these investors part with their hard-earned money they want to know that they are going to be getting something for their investment. Depending on the arrangement, they might expect to receive dividends or simply sell the stock someday at a higher price. If you just use one or two major private investors to raise the equity, they will have a big share of your company. They will expect some sort of control of what goes on. Therefore, you will lose some of the ability to do things the way you want. Debt financing is another type of business financing that can help you get the money you need. However, with debt financing you are actually borrowing money that has to be repaid. This type of loan usually requires some sort of monthly payment until the loan balance is paid off. When you get a loan for your business, it will also depend on your credit worthiness. A bank or commercial lender is going to look at your credit history in order to determine whether they should loan you the money. This might make it a little more difficult to get the required money when compared to equity financing. Even though you have to worry about a payment and your credit history with debt financing, it still has a few advantages. For one thing, you are not losing any of your company or future revenue. Therefore, when your company becomes successful, there is no one expecting to get their cut. Once the bank is paid off, they are out of the equation. You do not have to worry about pleasing the shareholders or anyone else but yourself. As long as your loan payment is on time, the bank does not care what you are doing. Deciding between debt and equity financing is a personal decision that should take considerable thought. Both sides have benefits and drawbacks, but they can both get you to where you want to be.